Tooling Around is an occa­sional series of posts talk­ing about art/craft tools – phys­ical and vir­tual. Again we’re in the realm of the virtual with a review of Hexels, a new grid-based digital drawing tool from Hex-Ray Studios. So, what’s a hexel? Well, it’s the hexagonal equivalent of the regular square pixel. 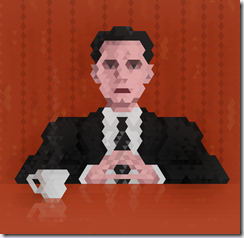 So while pixel art involves painstakingly assembling squares to form pictures, hexel art involves assembling hexagons. 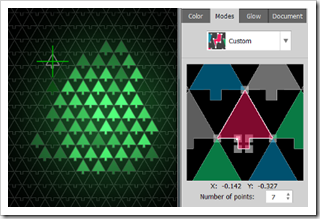 Hexels is a tool that tries to make this as painless as possible. In fact, Hexels goes beyond hexagons, offering several different shapes to draw with, including my personal favourites, triangles (see right). And if that’s not enough, you can define custom shapes – more on that below. Hexels adheres to the normal sort of drawing app conventions, and as a result it’s very intuitive to use. If you can use MS Paint, you’ll manage here. The tools are also mostly what you might expect: paint, line, erase, fill, select, etc. There are also some you might not expect, like a handy ‘magic wand’ selection tool, or tool to paint just the borders of the hexagon/triangle/whatever. The normal copy/paste options are present too, but there are no transform (flip, mirror, resize) options – presumably this would have been tricky to implement, and its absence is hardly a showstopper. There is a robust set of options for setting things like document qualities, colour and ‘glow’. As the name suggests, ‘glow’ adds a highly configurable glow to the painted hexels, which is great for breaking up flat areas of colour and adding some texture to images. The Options box is also home to the ‘mode’ selection, where you can choose whether you’re drawing in hexagons (of a few different flavours), triangles, plus-signs or whatever simple custom shape you care to design. 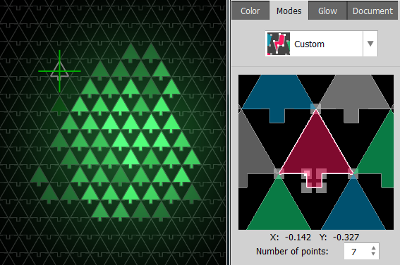 This is a really cool feature that I wasn’t expecting: if you want to draw an image made of diamond shapes, arrows or simple trees, for example, that’s easy to do (see left). Once you’ve defined a shape (which can be a bit fiddly for more complex shapes) you can save it and re-use it as needed. Even better, the grid changes in real time, so you can paint a picture in hexagons and then change to a custom shape, and your picture will change. It would be great to see the custom shape feature developed still further: perhaps with the ability to import your own vectors, or to alternate flipped or reflected shapes. But even without those things it’s still one of my favourite features. Once you’re done with you picture you can export is in a variety of formats – I was pleased to see SVG on the list, because that means I could import into my vector tool of choice, Inkscape. Well, both. It’s very good fun to noodle around with, and you’ll even produce something nice to look at. But it could definitely be used for more serious work as well. It doesn’t pretend to be a general purpose drawing app, and there’s a limit to how complicated a piece you could develop purely within the tool – there’s no ‘layers’ feature, for example. However, as part of a larger workflow it could certainly have a role to play, and it’s obvious that it’s been designed to ‘play nice’ as regards saving in useful formats you can then open in other programs. I’m certainly planning to use it to feed into my vector work. If you think hexagon slinging might be for you, there’s a feature reduced free version available so you can try it out, or the ‘Pro’ version is a very reasonable $19.99 (under £14 in real money) – get them here. 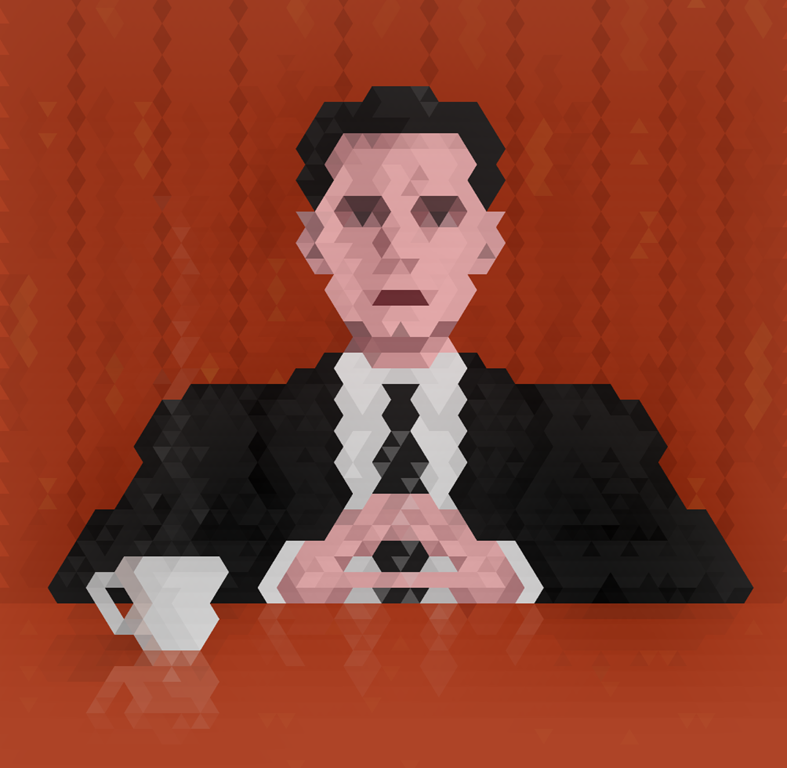 If you want to see what people are creating with Hexels – see Made in Hexels.